Known as a town of myths and legends, Saransk is the capital city of the Republic of Mordovia. Founded as a fortress in 1641, this city has become one of modern-day Russia’s most beautiful destinations. 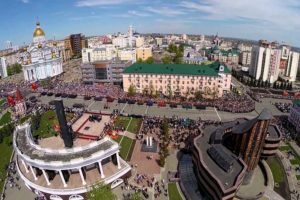 With its perfect combination of historical attractions, 21st-century malls, and picturesque parks, Saransk is so much more than just a host city for the FIFA 2018 World Cup. It is a destination that might end up stealing your heart for good. As the administrative capital of the Republic, Saransk is home to roughly 30% of all Mordovians. It is also where Russia’s indigenous Finno-Ugrian people hail from. The city’s folk culture and traditions stem from a combination of two Mordovian ethnic groups. Traditions from the Moksha and the Erzya groups permeates across the entire region. Located on the banks of the River Insar, joined by the rivers Saranka and Tavla, there is a lot of natural beauty to be uncovered in Saransk. The city is home to 344,000 people and is divided into three districts: Oktyabrskiy, Leninskiy, and Proletarskiv. The city is well-known for its fascinating attractions. Millennium Square, S.D Erzi Mordovian Republic Art Museum, “Mordovian Village”, Alexander Pushkin Culture and Recreation Park, and the “Forever With Russia” monument are just some of the star attractions. Saransk was initially founded as a fortress on the southeastern outskirts of the Russian kingdom in 1641. But its history is much more fascinating that one might perceive it to be. The fort formed part of a long, fortified line that stretched from Belgorod to Simbirsk. The Cossacks were the firsts inhabitants of the fortress, but by 1651, the township had become the administrative centre of the Saransk county. The settlement was promoted to the status of a town in 1780. With the dawn of the 17th century, Saransk was the home of more than 4,000 people. Due to its advantageous geographical location, Saransk became known as a craft and trade centre. By the beginning of the 18th century, it had almost lost its military significance. 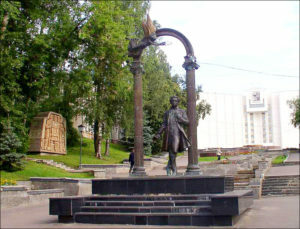 In July 1774, Saransk became known as the home of Emelyan Pugachev, leader of one of Russia’s largest peasant uprising groups. Then, in 1785, Catherine II approved plans for new developments. This led to the town’s population booming, reaching an all-time high of 7,400 people by the turn of the 19th century. As infrastructure advancements continued, the Moscow-Kazan railway system was fully operational and led straight through the city by the end of the 19th century. This made economic and political life bloom in the town. By the end of the 19th century, Saransk’s population had expanded to 14,000. This was primarily because the K.A. Makarov Art School, a bank, the region’s first small power plant, a paid public library, and a free public library opened in Saransk. The town seemed to be booming, but it took a severe knockdown before it could be built up to its modern-day glory. It was during the time of the Russian Civil War that the city a centre of formation of the Red Army. The war naturally caused a lot of unemployment and a drop in production. In 1927, the town started being restored, but it was not until 1930 that radical restructuring of the city happened. Between 1930 and 1940, the city’s industrial productivity increased with more than 50%. 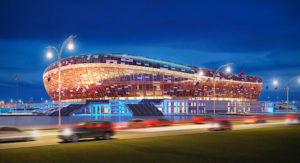 During the postwar years, Saransk saw a boom in the creation of new industries including electrical, engineering, medical, and food industries. By 1980, Saransk had become known as one of Russia’s most prominent developed industrial centres. Today, Saransk’s road to victory tells a story worth its weight in gold. Truly deeming it worthy of being a host city for the World Cup 2018. The Museum of War and Work Efforts is a must see. Here, you’ll discover how modern Russian character relies on its participation in the armed conflicts of the 20th century. The highlight of the museum is the display of the veterans of the wars including the Great Patriotic War, the Afghan and Chechen wars. The museum’s shape resembles the Republic of Mordovia, distinctly marked by orange and black facades, a prominent Russian military symbol. The Soviets love sculptures, and it’s something that will be unmissable in the streets here. Be on the lookout for icons such as Yemelyan Pugachev, Aleksandr Pushkin, Vladimir Lenin, the Pilots of Mordovia, and the Monument to the Family. Most Russian cities are known for their beautiful parks, and Saransk is no exception to the rule. The city has quite a few picturesque parks, ideal for a relaxed day out. There are a lot of parks to relax in here, but if you are looking for the most beautiful of them all, head over to Pushkin Park. National Park Smolnyi is located just 90 kilometres outside of the city. It makes for a great day trip destination. The park itself serves to help preserve the region’s indigenous fauna and flora, but it is also somewhat of a natural treasure for the adventurous travellers out there. 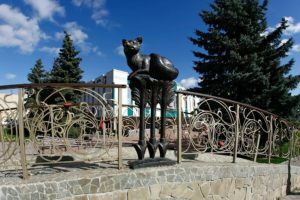 To Saransk, the fox is not just an animal, it is also the state’s symbol. That is why it only makes sense that a tribute to the symbol stands in front of the Museum of Fine Arts. Its customary to go up to the fox, rub its nose, and make a wish. Also be sure to check out the crystal balls near the fox which apparently hold predictions of the future! Located in Millennium Square, the star of Mordovia is a unique fountain of light and music. It happens to be one of the city’s top attractions too! Considered one of Russia’s most fascinating fountains, there’s plenty to see and do for tourists visiting this attraction. After you explore the Square, be sure to pick up some souvenirs for friends and family back home. Miles Away Travel specialises in planning trips and tours to Saransk as well as Russia in general. Get in touch with us today to find out more about our various tours on offer. You can also visit our match schedule page for more details on the Soccer World Cup 2018 packages we have on offer!